Welcome to the website of Donald R. Philbin, Jr., P.C. (“DONALD R. PHILBIN, JR., P.C.“) located at www.DonPhilbin.com and other sites (referred to herein as the “Site”) (we refer to the Site and the services provided through the Site, collectively, as the “Features”). These Terms of Service (“Terms of Service”) set forth an agreement between you and DONALD R. PHILBIN, JR., P.C. governing your use of the Features. By using any of the Features, you signify your irrevocable acceptance of these Terms of Service. You may only use the Features, open an account and/or submit information about a case if your acceptance of these Terms of Service is not prohibited by applicable law. No one under the age of 18 years old is allowed to use any of the Features. DONALD R. PHILBIN, JR., P.C. has the right to modify or update these Terms of Service at any time without providing notice. Any additional or different terms in these Terms of Service shall be effective upon being posted on the Site. Your continued use of any of the Features following the posting of any additional or different terms in these Terms of Service constitutes your irrevocable acceptance of those additional or different terms. DONALD R. PHILBIN, JR., P.C. reserves the right to add, change, modify, suspend or discontinue all or any of the Features, in its sole discretion, at any time. Unless expressly stated otherwise herein, the use of any new Features, including the availability of new services or products through the Site, shall be subject to these Terms of Service. In addition, DONALD R. PHILBIN, JR., P.C. may also impose limits on any of the Features or restrict your access to portions of or the entire Site in its sole discretion without notice or liability. DONALD R. PHILBIN, JR., P.C. reserves the right to refuse to provide you with access to any of the Features or to refuse to allow you to create a user account for any reason. You acknowledge and agree that DONALD R. PHILBIN, JR., P.C., and its licensors, retain all right, title and interest in and to all data and information (excluding data and information that you provide), content and materials provided on the Site (including, without limitation, text, images, graphics, page headers, DONALD R. PHILBIN, JR., P.C.’s trademarks and logos, the selection and arrangement of elements displayed on the Site, the compilation of all content and materials on the Site and the business processes, procedures, methods and techniques used in the Features) and all associated patent rights, copyright rights, trademark rights, trade secret rights and other intellectual property and proprietary rights recognized anywhere in the world (“Intellectual Property”). DONALD R. PHILBIN, JR., P.C. grants you a limited license to access and use the Features for your personal use, subject to all of the terms and conditions of these Terms of Service. You may not (i) remove any trademarks, copyright notices or any other notice contained in any content, materials or individual element provided on the Site, (ii) reproduce, download (other than page caching), modify, publish, distribute, transmit, disseminate, broadcast, transfer, license, sell, rent, lease, adapt, create derivative works of, link to, publicly display or perform, or in any way exploit any content, materials or individual element provided on the Site without DONALD R. PHILBIN, JR., P.C.’s prior written consent, (iii) frame or utilize framing techniques to enclose any content, materials or individual element provided on the Site or create a link to the Site accessing such content, materials or element without DONALD R. PHILBIN, JR., P.C.’s prior written consent, (iv) use any circumvention tools or any metatags or other hidden text utilizing DONALD R. PHILBIN, JR., P.C.’s name, trademark, URL or the name of any of the Features without DONALD R. PHILBIN, JR., P.C.’s prior written consent, or (v) disassemble, decompile or reverse engineer any of the materials or underlying software made available on or through the Site or used to provide any of the Features. To use certain Features, you may be directed to register with the site and create an account or otherwise provide us with certain information about yourself and your case (if applicable). By submitting your information through the Site, you grant DONALD R. PHILBIN, JR., P.C. a perpetual, irrevocable, royalty-free, non-exclusive license to use, reproduce, transmit, and display this information in connection with DONALD R. PHILBIN, JR., P.C.’s operation of the Site and/or performance of the Features for you and others you may designate. You agree to immediately notify us of any known or suspected unauthorized use(s) of your account or any known or suspected breach of security, including loss, theft or unauthorized disclosure of your password. You understand and agree that you shall be liable for all activities that occur under any account created for your use, even if such activities were not committed by you. DONALD R. PHILBIN, JR., P.C. is not responsible for any loss or damage arising from your failure to maintain the confidentiality of your password. You shall comply with all applicable laws, statutes, ordinances and regulations in your use of the Features. DONALD R. PHILBIN, JR., P.C. may immediately terminate your account, or suspend your access to your account, in its sole discretion and without notice, for conduct that DONALD R. PHILBIN, JR., P.C. believes is: (i) illegal, fraudulent, harassing or abusive, (ii) a violation of these Terms of Service or any other policies or guidelines posted on the Site, or (iii) harmful to other users, third parties, or DONALD R. PHILBIN, JR., P.C.’s business. Use of an account for illegal, fraudulent or abusive purposes may be referred to law enforcement authorities without notice. In addition, DONALD R. PHILBIN, JR., P.C. may terminate your account if you file a claim against DONALD R. PHILBIN, JR., P.C., or a claim which in any way involves DONALD R. PHILBIN, JR., P.C.. Upon DONALD R. PHILBIN, JR., P.C.’s termination of your account for any of the forgoing reasons, (a) DONALD R. PHILBIN, JR., P.C. will have no obligation to notify any third parties regarding such termination, and (b) you will be responsible for any damages that may result or arise out of termination of your account. You understand any information submitted about a case (“Case Information”) through the use of any of the Features is the sole responsibility of the person posting or transmitting such Case Information. You, and not DONALD R. PHILBIN, JR., P.C., are entirely responsible for all Case Information that you upload, post, email, transmit or otherwise make available on the Site or through the use of any of the Features. DONALD R. PHILBIN, JR., P.C. does not control the Case Information posted on the Site or transmitted through the use of any of the Features and, as such, does not guarantee the accuracy, reliability or quality of such Case Information. Further, you acknowledge that DONALD R. PHILBIN, JR., P.C. may or may not pre-screen Case Information that is displayed on the Site or transmitted through the use of any of the Features. Under no circumstances will DONALD R. PHILBIN, JR., P.C.be liable in any way for any Case Information including, but not limited to, any errors or omissions in any Case Information, or any loss or damage of any kind incurred as a result of the use of or your loss of use of any Case Information posted, emailed, transmitted or otherwise made available on the Site or through the use of any of the Features. You agree that DONALD R. PHILBIN, JR., P.C. may, in its sole discretion, refuse to post, store or transmit any Case Information submitted by you and may move, remove, edit or modify any such Case Information for any reason at any time. interfere with or disrupt any of the Features or servers or networks connected to or operated with any of the Features, or disobey any requirements, procedures, policies or regulations of networks connected to or operated with any of the Features. You acknowledge, consent and agree that DONALD R. PHILBIN, JR., P.C. may access, preserve and disclose account information and/or Registration Information or Case Information that you provide if DONALD R. PHILBIN, JR., P.C. is required to do so by law or if it believes in good faith that such access, preservation or disclosure is reasonably necessary to (A) comply with legal process, (B) enforce these Terms of Service, (C) respond to claims that any Registration Information or Case Information violates the rights of any third parties, (D) respond to your requests for customer service, or (E) protect the rights, property or personal safety of DONALD R. PHILBIN, JR., P.C., its employees, partners, agents or members of the public. The Site may contain links to other Internet websites and resources. DONALD R. PHILBIN, JR., P.C. may provide links and, if it does so, they are merely as a convenience and the inclusion of any link does not constitute or imply any affiliation, endorsement or sponsorship by DONALD R. PHILBIN, JR., P.C. of such websites or any content contained therein. You acknowledge and agree that DONALD R. PHILBIN, JR., P.C. is not responsible or liable in any way for any content, advertising, services or goods on or made available from such websites or resources either via links provided by DONALD R. PHILBIN, JR., P.C. or by any user or third party. You understand that the processing and transmission of communications relating to the use of any of the Features may involve transmissions over various networks and changes to conform and adapt to technical requirements of connecting to various networks or devices. Therefore, you agree that DONALD R. PHILBIN, JR., P.C. will not be responsible or liable for the timeliness, deletion, mis-delivery or failure to store any data, information or content that you provide for display on the Site or for transmission through the use of any of the Features. THE SITE AND THE FEATURES ARE PROVIDED ON AN “AS IS” AND “AS AVAILABLE” BASIS WITHOUT ANY WARRANTY OR CONDITION, EXPRESS OR IMPLIED. TO THE FULL EXTENT PERMISSIBLE UNDER APPLICABLE LAW, DONALD R. PHILBIN, JR., P.C. SPECIFICALLY DISCLAIMS ALL WARRANTIES INCLUDING, WITHOUT LIMITATION, IMPLIED WARRANTIES OF TITLE, QUALITY, PERFORMANCE, MERCHANTABILITY, FITNESS FOR A PARTICULAR PURPOSE AND NON-INFRINGEMENT. FURTHER, THE INFORMATION ON THE SITE SHALL IN NO EVENT BE CONSIDERED OR RELIED UPON AS LEGAL ADVICE OR AS A SUBSTITUTE FOR SEEKING THE ADVICE AND CONSULT OF A LICENSED ATTORNEY. DONALD R. PHILBIN, JR., P.C. makes no representation or warranty that (i) the Site or the Features will meet your expectations or requirements, (ii) the Site or the Features will be available, uninterrupted, timely, secure, accurate, complete or error-free, (iii) any results or information that may be obtained from the use of the Site or the Features will be accurate, timely, complete or reliable, (iv) any errors or defects in the Site or the Features will be corrected, or (v) the Site and the Features and/or the server that makes the Site and the Features available are free of viruses, clocks, timers, counters, worms, software locks, Trojan horses, trap doors, time bombs or any other harmful codes, instructions, programs or components. Operation of the Site and the Features may be interfered with by numerous factors outside of DONALD R. PHILBIN, JR., P.C.’s control including, but not limited to, telecommunications network disruptions. DONALD R. PHILBIN, JR., P.C. is not responsible and will have no liability for any failures of the Internet or any data or telecommunications equipment, system or network used in connection with the Site or the Features. You acknowledge that the entire risk arising out of the use or performance of the Site or any of the Features remains with you to the maximum extent permitted by law. YOU ACKNOWLEDGE AND AGREE THAT YOUR SOLE REMEDY FOR ANY PROBLEMS OR DISSATISFACTION WITH THE SITE OR ANY OF THE FEATURES IS TO TERMINATE YOUR ACCOUNT AND DISCONTINUE USE OF THE SITE AND THE FEATURES. IN NO EVENT SHALL DONALD R. PHILBIN, JR., P.C. OR ANY OF ITS DIRECTORS, OFFICERS, MEMBERS, OWNERS, EMPLOYEES, AGENTS, CONSULTANTS, PARENTS, AFFILIATES, SUCCESSORS, ASSIGNS OR CONTENT OR SERVICE PROVIDERS BE LIABLE FOR ANY INDIRECT, SPECIAL, INCIDENTAL, CONSEQUENTIAL, EXEMPLARY OR PUNITIVE DAMAGES ARISING FROM, OR DIRECTLY OR INDIRECTLY RELATED TO, THE USE OF, THE INABILITY TO USE, OR RELIANCE ON THE PORTAL INCLUDING, BUT NOT LIMITED TO THE FEATURES, OR THE CONTENT, MATERIALS AND FUNCTIONS RELATED THERETO, INCLUDING, WITHOUT LIMITATION, LOSS OF REVENUE, ANTICIPATED PROFITS, BUSINESS, PROGRAMS OR INFORMATION, EVEN IF DONALD R. PHILBIN, JR., P.C. OR SUCH PERSON OR ENTITY HAS BEEN ADVISED OF THE POSSIBILITY OF SUCH DAMAGES AND REGARDLESS OF THE FORM OF ACTION. IN NO EVENT SHALL DONALD R. PHILBIN, JR., P.C. BE LIABLE FOR OR IN CONNECTION WITH ANY INFORMATION POSTED, TRANSMITTED, EXCHANGED OR RECEIVED BY OR ON BEHALF OF ANY VISITOR OR OTHER PERSON ON OR THROUGH THE FEATURES. IN NO EVENT SHALL THE TOTAL LIABILITY OF DONALD R. PHILBIN, JR., P.C. TO YOU OR ANY THIRD PARTY FOR ALL DAMAGES, LOSSES, AND CAUSES OF ACTION (WHETHER IN CONTRACT OR TORT, INCLUDING, BUT NOT LIMITED TO, NEGLIGENCE OR OTHERWISE) EXCEED ONE HUNDRED DOLLARS ($100). DONALD R. PHILBIN, JR., P.C. HEREBY DISCLAIMS ANY LIABILITY TO YOU, THE PEOPLE YOU AUTHORIZE TO ACCESS YOUR ACCOUNT, OR ANY OTHER PARTY FOR ANY DAMAGES OR INJURY THAT MAY RESULT FROM THE USE OF OR INABILITY TO USE YOUR ACCOUNT INCLUDING, BUT NOT LIMITED TO ANY DAMAGES OR INJURY CAUSED BY FAILURE OF PERFORMANCE, ERROR, OMISSION, INTERRUPTION, DELETION, DEFECT, DELAY IN OPERATION OR TRANSMISSION, COMPUTER VIRUS, COMMUNICATION SERVICE FAILURE, THEFT OR DESTRUCTION OR UNAUTHORIZED ACCESS TO, ALTERATION OF, OR USE OF THE FEATURES UNDER ANY LEGAL THEORY OR CAUSE OF ACTION. NEITHER DONALD R. PHILBIN, JR., P.C. NOR ITS DIRECTORS, OFFICERS, MEMBERS, OWNERS, EMPLOYEES, AGENTS, SUPPLIERS, OR AFFILIATES SHALL BE LIABLE FOR ANY DIRECT, INDIRECT, INCIDENTAL, CONSEQUENTIAL, SPECIAL OR PUNITIVE DAMAGES INCLUDING, BUT NOT LIMITED TO, THOSE ARISING OUT OF THE USE OF THE FEATURES OR INABILITY TO GAIN ACCESS TO OR USE ANY PERSONAL INFORMATION THROUGH THE FEATURES. You agree that DONALD R. PHILBIN, JR., P.C., in its sole discretion and without notice or liability to you, may terminate your use of, or access to, the Site or any of the Features at any time under certain circumstances including, but not limited to, if DONALD R. PHILBIN, JR., P.C. believes in good faith that you have violated or acted inconsistently with these Terms of Service or any applicable law, rule or regulation or that you have engaged in conduct that DONALD R. PHILBIN, JR., P.C. determines to be inappropriate or unacceptable. You agree to defend, indemnify and hold DONALD R. PHILBIN, JR., P.C. and its licensors, licensees, affiliated companies, and marketing partners, together with their respective employees, agents, directors, officers, owners, and members, harmless from and against any and all claims, actions, proceedings and suits and all related liabilities, losses, damages, judgments, settlements, penalties, fines, costs and expenses (including, without limitation, reasonable attorneys’ fees and costs) arising out of (i) your use or misuse of the Site or any of the Features, (ii) your breach or alleged breach of these Terms of Service, (iii) your violation of any law, rule, regulation or rights of others in connection with your use of the Site or any of the Features, (iv) your use or disclosure of another person’s personal, financial or credit information or (v) the infringement, violation or misappropriation of any copyright, trade secret, or any other intellectual property rights or the violation of any property or privacy right arising from any of the information that you post on the Site or transmit through the use of any of the Features. Each notification must include the following information: (i) a physical or electronic signature of a person authorized to act on behalf of the owner of an exclusive right that is allegedly infringed, (ii) identification of the copyrighted work claimed to have been infringed, or, if multiple copyrighted works at a single website are covered by a single notification, a representative list of such works at that website, (iii) identification of the material that is claimed to be infringing or to be the subject of infringing activity and that is to be removed, or access to which is to be disabled, and information reasonably sufficient to permit DONALD R. PHILBIN, JR., P.C. to locate the material, (iv) information reasonably sufficient to permit DONALD R. PHILBIN, JR., P.C. to contact the complaining party, such as an address, telephone number, and, if available, an email address at which the complaining party may be contacted; (v) a statement that the complaining party has a good faith belief that use of the material in the manner complained of is not authorized by the copyright owner, its agent, or the law, and (vi) a statement that the information in the notification is accurate, and under penalty of perjury, that the complaining party is authorized to act on behalf of the owner of an exclusive right that is allegedly infringed. These Terms of Service, and any other agreement regarding the Features between you and DONALD R. PHILBIN, JR., P.C., constitute the entire agreement between you and DONALD R. PHILBIN, JR., P.C. with respect to your access and use of the Site and the Features and supersede all prior and contemporaneous agreements between you and DONALD R. PHILBIN, JR., P.C.. If any of the provisions of these Terms of Service is found by a court of competent jurisdiction to be invalid or unenforceable, then that provision will be construed in a manner consistent with applicable laws to reflect, as nearly as possible, the original intentions of the parties, and the remaining provisions shall remain in full force and effect. DONALD R. PHILBIN, JR., P.C.’s failure to exercise or enforce any right or provision of these Terms of Service shall not constitute a waiver of such right or provision. The laws applicable to the interpretation of these Terms of Service shall be the laws of the State of Texas, and applicable federal law, without regard to any conflicts of laws provisions. You agree to submit to the personal and exclusive jurisdiction of the state and federal courts located within Bexar County, Texas. You also agree that, in the event any dispute or claim arises out of or relating to your use of the Site or the Features, that you and DONALD R. PHILBIN, JR., P.C. will attempt in good faith to negotiate a written resolution of the matter directly between the parties. 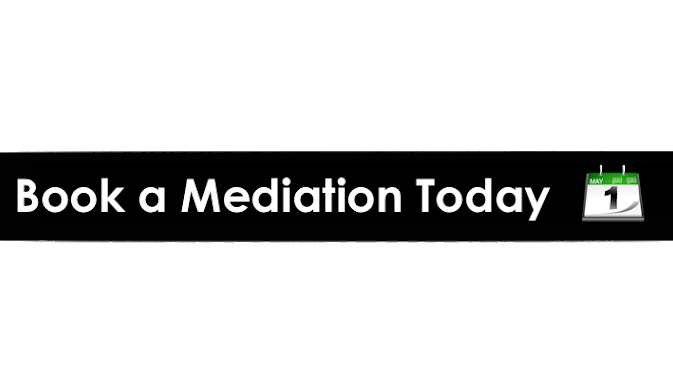 You agree that if the matter remains unresolved for forty-five (45) days after notification (via certified mail or personal delivery) that a dispute exists, all parties shall join in mediation services in Bexar County, Texas with a mutually agreed mediator in any attempt to resolve the dispute. Should you file any arbitration claims, or any administrative or legal actions without first having attempted to resolve the matter by mediation, then you agree that you will not be entitled to recover attorneys’ fees, even if you would otherwise be entitled to them. DONALD R. PHILBIN, JR., P.C. does not collect personal information unless you voluntarily provide it to us. We do, however, collect certain types of information and ask for personal information in certain circumstances, such as when you set up a Client Login account or request information about how to begin the ADR process. The following sections describe the type of information we collect and how we collect it. Information You Give Us: All users may visit the public areas of the Site without disclosing any personal information about themselves. However, in order to use certain Features, you may be asked for, or you may choose to provide, certain personally identifiable information (“PII”), such as your name, email address, mailing address, phone number and similar information. We will not collect PII from you while you use the Features unless you voluntarily provide it to us or authorize us to collect such information. When you complete a registration form to create a Client Login account, we require you to provide us with your name, company name and email address. Cookies: Like many websites, we employ the use of “cookies” in certain areas of our Site to allow us to provide information that is targeted to your interests and make your online experience more convenient (for instance, by reducing the number of times you have to re-enter your password). Cookies are small bits of electronic information that a website sends to a visitor’s browser and are stored on your hard drive. We do not receive or record any personal information in the cookies we use and are never tied to anything that could be used to identify you. Although most web browsers automatically accept cookies, you may choose to change your browser to block cookies that or to notify you when you are sent a cookie. Most cookies are “session cookies,” meaning that they are automatically deleted at the end of a session and you are always free to decline our cookies if your browser permits. You can still use the Site if your browser is set to reject cookies. Log Information: Our servers automatically track certain information about you as you use our Site. This information may include the URL that you just came from, which URL you go to next, what browser you are using, and your IP address. Our site logs do generate certain kinds of non-identifying site usage data, such as the number of hits and visits to our Site. This information is used for internal purposes by technical support staff to provide better services to the public and may also be provided to others, but the statistics contain no personal information and cannot be used to gather such information. Protection of rights. We will share personal information if we have a good faith belief that (i) access, use, preservation or disclosure of such information is reasonably necessary to satisfy any applicable law, regulation, legal process, such as a court order or subpoena, or a request by law enforcement or governmental authorities, (ii) such action is appropriate to enforce the Terms of Service for the Site, including any investigation of potential violations thereof, (iii) such action is necessary to detect, prevent, or otherwise address fraud, security or technical issues associated with the Features, or (iv) such action is appropriate to protect the rights, property or safety of DONALD R. PHILBIN, JR., P.C., its employees, users of the Features or others. Asset transfers. If we become involved in a merger, acquisition or other transaction involving the sale of some or all of DONALD R. PHILBIN, JR., P.C.’s assets, user information, including personal information collected from you through your use of the Features, could be included in the transferred assets. Visitors to the Site will be notified via a prominent notice on the Site for thirty (30) days prior to a change of ownership or control of user information held by us. In addition, we may share with third parties user information in the form of aggregated non-personal information. This non-identifying information may include, for example, the patterns, trends, preferences, and other collective characteristics of our users. Disclosure of this information serves to help us and our marketing partners evaluate and tailor our communications, advertisements, services and general business practices to the needs of users of the Features. You may request us to correct, update or delete any of the information we have collected from you by sending an email to us at mailto:don.philbin@ADRtoolbox.com and we will attempt to fulfill your request. We may choose not to fulfill any request that we determine is unreasonable, unduly burdensome or impractical or that constitutes a threat to the privacy or rights of others. The personal information that you provide to us is stored on servers, which are located in secured facilities with restricted access, and protected by protocols and procedures designed to ensure the security of such information. In addition, we restrict access to personal information to DONALD R. PHILBIN, JR., P.C. employees, independent contractors and agents who need to know this information in order to develop, operate and maintain the Features. All DONALD R. PHILBIN, JR., P.C. personnel who have access to this information are trained in the maintenance and security of such information. However, no server, computer or communications network or system, or data transmission over the Internet can be guaranteed to be 100% secure. As a result, while we strive to protect user information, we cannot ensure or warrant the security of any information you transmit to us or through the use of any of the Features and you acknowledge and agree that you provide such information and engage in such transmissions at your own risk. Once we receive a transmission from you, we will endeavor to maintain its security on our systems. The Site is a general audience website and no portion of the Site is directed to children under the age of 13. We do not collect personal indentifying information from any person we actually know is a child under the age of 13.